Arashi’s Jun Matsumoto and Kasumi Arimura will be starring in the movie “Narratage”. The movie will be be released in autumn 2017. The two last worked together as siblings in FUJI TV’s “Shitsuren Chocolatier” in 2014. Producer Shinji Ogawa says the movie will also include a “beautiful bed scene”. 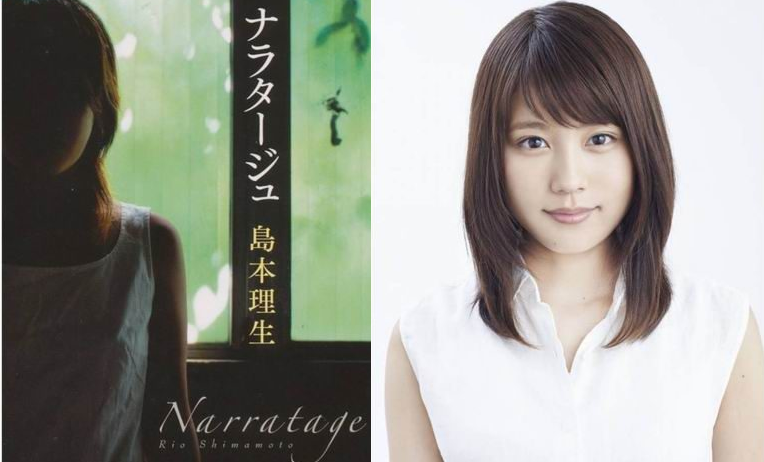 “Narratage” is based from Rio Shimamoto’s novel of the same name, written in 2005 at a young age of 20. The movie will be directed by Isao Yukisada (Crying Out Love in the Center of the World, Pink & Gray). The title, which refers to the technique used in film and theater to reproduce the past through recollection and words, is built on the narration of the heroine. Takashi Hayama (Jun Matsumoto), a high school teacher is reunited with his former student Izumi Kudo (Kasumi Arimura), now a university student, and both fall into a deep but forbidden love. This is Matsumoto’s first movie in 4 years after “Hidamari no Kanojo” in 2013 and also the first time in the teacher role. During “Shitsuren Chocolatier”, Matsumoto and Arimura played as siblings, this time they will be playing as lovers and will even be challenging a bed scene. Filming started earlier this month. Matsumoto will play high school teacher Takashi Hayama “Feeling and accepting love may differ for each person, but I think we all share that moment of empathy that moves our hearts. I will do my best together with all the staff” . Arimura will play Izumi Kido. She has appeared in the movie “Biri Gal” (2015) and “I am a Hero” (2016) and is also appointed as the heroine for the new NHK Asadora drama that will start April next year. “We will portray a universal love. After watching the movie, I hope it will leave a lasting impression on your mind. Along with the cast and staff, I will do my best”.